Nav System, Moonroof, Heated Leather Seats, ENGINE: 6.7L 4V OHV POWER STROKE V8 TURBO DIESEL B20, JAVA, UNIQUE KING RANCH LEATHER 40/CO... Satellite Radio. King Ranch trim, White Platinum Metallic Tri-Coat exterior and Java interior. SEE MORE!KEY FEATURES INCLUDENavigation, Premium Sound System, Satellite Radio, iPod/MP3 Input, Trailer Hitch, Remote Engine Start, Dual Zone A/C MP3 Player, 4x4, Onboard Communications System, Privacy Glass, Keyless Entry.OPTION PACKAGESENGINE: 6.7L 4V OHV POWER STROKE V8 TURBO DIESEL B20 manual push-button engine-exhaust braking and intelligent oil-life monitor, 34 Gallon Fuel Tank, Extra Heavy-Duty 220 Amp Alternator, 3.31 Axle Ratio, Dual 78-AH 750 CCA Batteries, KING RANCH ULTIMATE PACKAGE Twin Panel Power Moonroof, map lights and moonroof switches, Multi-Contour Seats, Power-Deployable Running Boards, Blind Spot Information System (BLIS), cross-traffic alert and trailer tow (BLIS sensor in taillamp), Tailgate Step & Handle, Quad Beam LED Headlamps & LED Taillamps, LED fog lamps and LED Center High-Mounted Stop Lamp (CHMSL), TOW TECHNOLOGY BUNDLE Adaptive Steering, Ultimate Trailer Tow Camera System, 360 degree camera system and trailer reverse guidance, Display appears in center-stack screen, NOTE: Does not include customer placed trailer camera, Rear CHMSL Camera Display in center stack screen, LED Center High-Mounted Stop Lamp (CHMSL) w/cargo light and rear video camera, Lane-Keeping Alert, TWIN PANEL POWER MOONROOF map lights and moonroof switches, CHROME PACKAGE 2 front chrome tow hooks and chrome rear tailgate applique, Wheels: 18 Chrome PVD Aluminum, light caribou wheel ornaments w/King Ranch logo, Unique Chrome Mirror Caps, 6 Angular Chrome Step Bars, Chrome Front & Rear Bumpers, Body-Color Door Handles w/Chrome Insert, Chrome Exhaust TipHorsepower calculations based on trim engine configuration. Please confirm the accuracy of the included equipment by calling us prior to purchase. XL trim. Fourth Passenger Door, Back-Up Camera, iPod/MP3 Input, Remote Engine Start, Bluetooth. Warranty 5 yrs/60k Miles - Drivetrain Warranty; SEE MORE!KEY FEATURES INCLUDEBack-Up Camera, iPod/MP3 Input, Bluetooth, Remote Engine Start, Fourth Passenger Door. 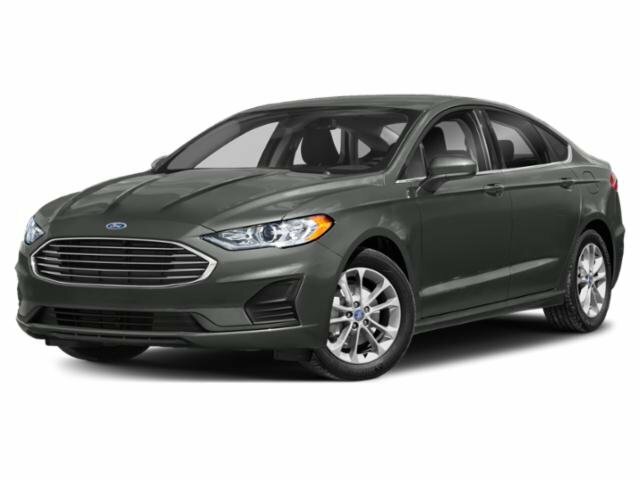 MP3 Player, Third Passenger Door, Keyless Entry, Steering Wheel Controls, Electronic Stability Control.BUY FROM AN AWARD WINNING DEALERBaxter Ford South, a full-service Ford dealership in Omaha, is your source for new Ford cars, trucks, vans and SUVs both online and in our showroom. We also sell used vehicles and certified pre-owned Fords. At our 9203 South 145th Street (near Sapp Bros.) location, we also provide parts and auto repair service. We're part of Baxter Auto, the largest dealer group in Nebraska.Please confirm the accuracy of the included equipment by calling us prior to purchase. XL trim, Frozen White exterior and Ebony interior. iPod/MP3 Input, Back-Up Camera, Bluetooth, Fourth Passenger Door, Remote Engine Start, CRUISE CONTROL, REAR DOOR FIXED GLASS, ORDER CODE 100A, HEAVY DUTY BATTERY, MYKEY AND MORE!KEY FEATURES INCLUDEBack-Up Camera, iPod/MP3 Input, Bluetooth, Remote Engine Start, Fourth Passenger Door MP3 Player, Keyless Entry, Steering Wheel Controls, Electronic Stability Control.OPTION PACKAGESCOMPOSITE BULKHEAD, REAR DOOR FIXED GLASS normal tinted glass (second-row/rearward), Day/Night Rearview Mirror, Rear Window Wipers, REVERSE SENSING SYSTEM, CRUISE CONTROL 4-Spoke Steering Wheel, satin chrome shells, HEAVY DUTY BATTERY (80-amp; 800CCA), MYKEY Cruise Control, 4-Spoke Steering Wheel, satin chrome shells, FROZEN WHITE, ENGINE: 2.0L GDI I-4 GAS auto start/stop system and EcoMode (STD), ORDER CODE 100A. 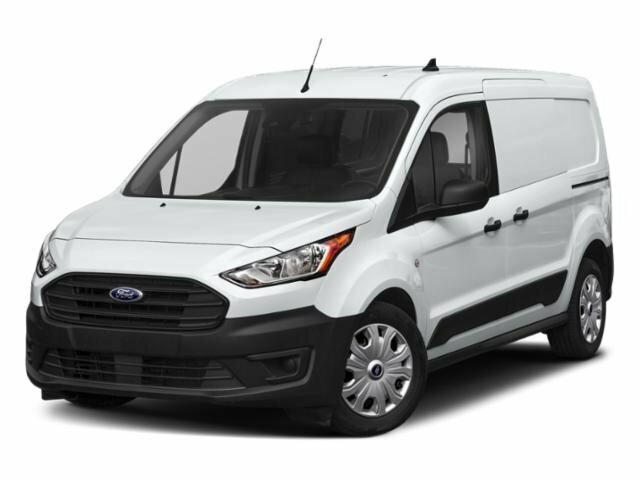 Ford XL with Frozen White exterior and Ebony interior features a 4 Cylinder Engine with 162 HP at 6200 RPM*.MORE ABOUT USBaxter Ford West Dodge, a full-service Ford dealership in Omaha, is your source for new Ford cars, trucks, vans and SUVs both online and in our showroom. We also sell used vehicles and certified pre-owned Fords. At our 18505 California Street (185th & Dodge) location, we also provide parts and auto repair service. We're part of Baxter Auto, the largest dealer group in Nebraska.Horsepower calculations based on trim engine configuration. Please confirm the accuracy of the included equipment by calling us prior to purchase. XL trim, Frozen White exterior and Ebony interior. Bluetooth, iPod/MP3 Input, Fourth Passenger Door, Remote Engine Start, CRUISE CONTROL, REAR DOOR FIXED GLASS, ORDER CODE 100A, HEAVY DUTY BATTERY, Back-Up Camera, MYKEY SEE MORE!KEY FEATURES INCLUDEBack-Up Camera, iPod/MP3 Input, Bluetooth, Remote Engine Start, Fourth Passenger Door MP3 Player, Keyless Entry, Steering Wheel Controls, Electronic Stability Control.OPTION PACKAGESREAR DOOR FIXED GLASS normal tinted glass (second-row/rearward), Day/Night Rearview Mirror, Rear Window Wipers, CRUISE CONTROL 4-Spoke Steering Wheel, satin chrome shells, HEAVY DUTY BATTERY (80-amp; 800CCA), MYKEY Cruise Control, 4-Spoke Steering Wheel, satin chrome shells, FROZEN WHITE, ENGINE: 2.0L GDI I-4 GAS auto start/stop system and EcoMode (STD), ORDER CODE 100A. Ford XL with Frozen White exterior and Ebony interior features a 4 Cylinder Engine with 162 HP at 6200 RPM*.VISIT US TODAYBaxter Ford West Dodge, a full-service Ford dealership in Omaha, is your source for new Ford cars, trucks, vans and SUVs both online and in our showroom. We also sell used vehicles and certified pre-owned Fords. At our 18505 California Street (185th & Dodge) location, we also provide parts and auto repair service. We're part of Baxter Auto, the largest dealer group in Nebraska.Horsepower calculations based on trim engine configuration. Please confirm the accuracy of the included equipment by calling us prior to purchase. Heated/Cooled Leather Seats, Moonroof, Nav System, 4x4, Panoramic Roof, Aluminum Wheels, Turbo Charged Engine, RAPID-HEAT SUPPLEMENTAL CAB HEATER, FX4 OFF-ROAD PACKAGE. Limited trim, Agate Black exterior and Camelback interior. READ MORE!KEY FEATURES INCLUDELeather Seats, Navigation, Panoramic Roof, Heated Driver Seat, Heated Rear Seat, Cooled Driver Seat, Back-Up Camera, Running Boards, Premium Sound System, Satellite Radio, iPod/MP3 Input, Trailer Hitch, Remote Engine Start, Dual Zone A/C, Heated Seats. MP3 Player, Sunroof, 4x4, Onboard Communications System, Aluminum Wheels.OPTION PACKAGESFX4 OFF-ROAD PACKAGE Unique FX4 Off-Road Box Decal, Off-Road Specifically Tuned Shock Absorbers, front/rear, Hill Descent Control, Transfer Case & Fuel Tank Skid Plates, ELECTRONIC-LOCKING W/3.55 AXLE RATIO, RAPID-HEAT SUPPLEMENTAL CAB HEATER Dual Extra Heavy-Duty Alternators (Total 377-Amps), SNOW PLOW PREP PACKAGE computer selected springs for snowplow application, NOTE 1: Restrictions apply; see Supplemental Reference or Body Builders Layout Book for details, NOTE 2: May result in deterioration of ride quality when vehicle is not equipped w/snowplow, DUAL EXTRA HEAVY-DUTY ALTERNATORS (TOTAL 377-AMPS), ENGINE BLOCK HEATER, TRANSFER CASE & FUEL TANK SKID PLATES, LED ROOF CLEARANCE LIGHTS, AGATE BLACK, TRANSMISSION: TORQSHIFT 6-SPEED AUTOMATIC (6R140), SelectShift (STD), ORDER CODE 708A, ENGINE: 6.7L 4V OHV POWER STROKE V8 TURBO DIESEL B20 manual push-button engine-exhaust braking and intelligent oil-life monitor (STD). 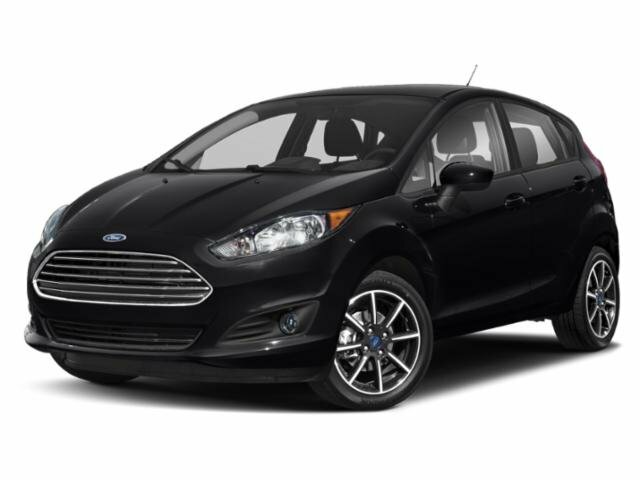 Ford Limited with Agate Black exterior and Camelback interior features a 8 Cylinder Engine with 450 HP at 2800 RPM*.OUR OFFERINGSBaxter Ford South, a full-service Ford dealership in Omaha, is your source for new Ford cars, trucksHorsepower calculations based on trim engine configuration. Please confirm the accuracy of the included equipment by calling us prior to purchase. Heated Seats, Dual Zone A/C, Back-Up Camera, Aluminum Wheels, Turbo Charged Engine, Remote Engine Start, iPod/MP3 Input, Satellite Radio. SEL trim. Warranty 5 yrs/60k Miles - Drivetrain Warranty; CLICK NOW!KEY FEATURES INCLUDEHeated Driver Seat, Back-Up Camera, Turbocharged, Satellite Radio, iPod/MP3 Input, Remote Engine Start, Dual Zone A/C, Heated Seats. 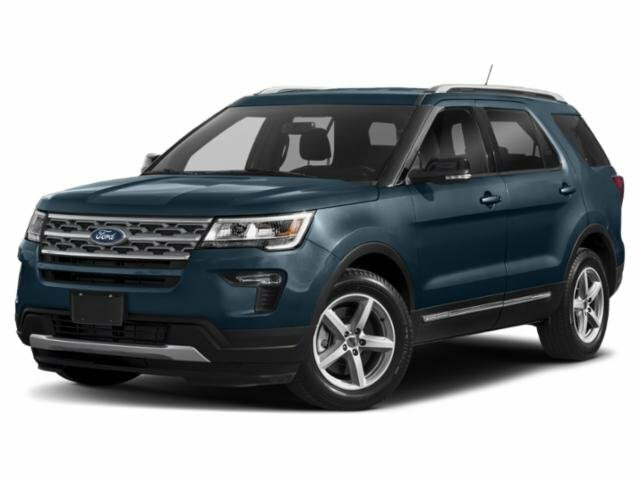 MP3 Player, Onboard Communications System, Aluminum Wheels, Keyless Entry, Child Safety Locks.MORE ABOUT USBaxter Ford South, a full-service Ford dealership in Omaha, is your source for new Ford cars, trucks, vans and SUVs both online and in our showroom. We also sell used vehicles and certified pre-owned Fords. At our 9203 South 145th Street (near Sapp Bros.) location, we also provide parts and auto repair service. We're part of Baxter Auto, the largest dealer group in Nebraska.Please confirm the accuracy of the included equipment by calling us prior to purchase. S trim. iPod/MP3 Input, Back-Up Camera, Keyless Start. Warranty 5 yrs/60k Miles - Drivetrain Warranty; CLICK NOW!KEY FEATURES INCLUDEBack-Up Camera, iPod/MP3 Input, Keyless Start MP3 Player, Onboard Communications System, Keyless Entry, Steering Wheel Controls, Child Safety Locks.OUR OFFERINGSBaxter Ford South, a full-service Ford dealership in Omaha, is your source for new Ford cars, trucks, vans and SUVs both online and in our showroom. We also sell used vehicles and certified pre-owned Fords. At our 9203 South 145th Street (near Sapp Bros.) location, we also provide parts and auto repair service. We're part of Baxter Auto, the largest dealer group in Nebraska.Please confirm the accuracy of the included equipment by calling us prior to purchase. 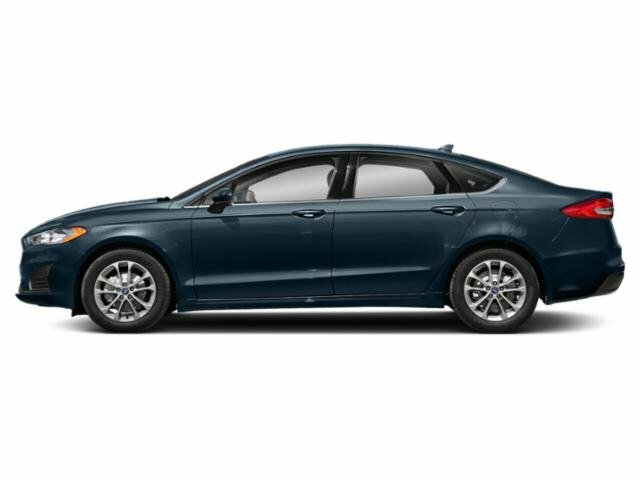 Heated/Cooled Leather Seats, Premium Sound System, Back-Up Camera, ENGINE: 2.3L ECOBOOST, EQUIPMENT GROUP 200A, TRANSMISSION: 10-SPEED AUTOMATIC W/SE... Shadow Black exterior and Dark Ceramic interior, EcoBoost Premium trim. CLICK NOW!KEY FEATURES INCLUDELeather Seats, Heated Driver Seat, Cooled Driver Seat, Back-Up Camera, Premium Sound System Rear Spoiler, MP3 Player, Aluminum Wheels, Keyless Entry, Steering Wheel Controls.OPTION PACKAGESTRANSMISSION: 10-SPEED AUTOMATIC W/SELECTSHIFT steering wheel paddle shifters, Remote Start System, Leather-Wrapped Shift Knob, 3.15 Limited Slip Rear Axle Ratio Late availability, SHADOW BLACK, ENGINE: 2.3L ECOBOOST (STD), EQUIPMENT GROUP 200A. Ford EcoBoost Premium with Shadow Black exterior and Dark Ceramic interior features a 4 Cylinder Engine with 310 HP at 5500 RPM*.VISIT US TODAYBaxter Ford West Dodge, a full-service Ford dealership in Omaha, is your source for new Ford cars, trucks, vans and SUVs both online and in our showroom. We also sell used vehicles and certified pre-owned Fords. At our 18505 California Street (185th & Dodge) location, we also provide parts and auto repair service. We're part of Baxter Auto, the largest dealer group in Nebraska.Horsepower calculations based on trim engine configuration. Please confirm the accuracy of the included equipment by calling us prior to purchase. XLT trim. Fourth Passenger Door, Satellite Radio, Back-Up Camera, Remote Engine Start, iPod/MP3 Input. Warranty 5 yrs/60k Miles - Drivetrain Warranty; CLICK ME!KEY FEATURES INCLUDEBack-Up Camera, Satellite Radio, iPod/MP3 Input, Remote Engine Start, Fourth Passenger Door MP3 Player, Onboard Communications System, Keyless Entry, Steering Wheel Controls.VISIT US TODAYBaxter Ford South, a full-service Ford dealership in Omaha, is your source for new Ford cars, trucks, vans and SUVs both online and in our showroom. We also sell used vehicles and certified pre-owned Fords. At our 9203 South 145th Street (near Sapp Bros.) location, we also provide parts and auto repair service. We're part of Baxter Auto, the largest dealer group in Nebraska.Please confirm the accuracy of the included equipment by calling us prior to purchase. GT trim, Kona Blue Metallic exterior and Ebony interior. iPod/MP3 Input, Onboard Communications System, ENGINE: 5.0L TI-VCT V8, EQUIPMENT GROUP 300A, TRANSMISSION: 10-SPEED AUTOMATIC W/SE... Back-Up Camera, Alloy Wheels. SEE MORE!KEY FEATURES INCLUDEBack-Up Camera, iPod/MP3 Input, Onboard Communications System. Rear Spoiler, MP3 Player, Aluminum Wheels, Keyless Entry, Steering Wheel Controls.OPTION PACKAGESTRANSMISSION: 10-SPEED AUTOMATIC W/SELECTSHIFT steering wheel paddle shifters, Remote Start System, Leather-Wrapped Shift Knob, 3.15 Limited Slip Rear Axle Ratio, KONA BLUE METALLIC, ENGINE: 5.0L TI-VCT V8 (STD), EQUIPMENT GROUP 300A. Ford GT with Kona Blue Metallic exterior and Ebony interior features a 8 Cylinder Engine with 460 HP at 7000 RPM*.WHY BUY FROM USBaxter Ford West Dodge, a full-service Ford dealership in Omaha, is your source for new Ford cars, trucks, vans and SUVs both online and in our showroom. We also sell used vehicles and certified pre-owned Fords. At our 18505 California Street (185th & Dodge) location, we also provide parts and auto repair service. We're part of Baxter Auto, the largest dealer group in Nebraska.Horsepower calculations based on trim engine configuration. Please confirm the accuracy of the included equipment by calling us prior to purchase. 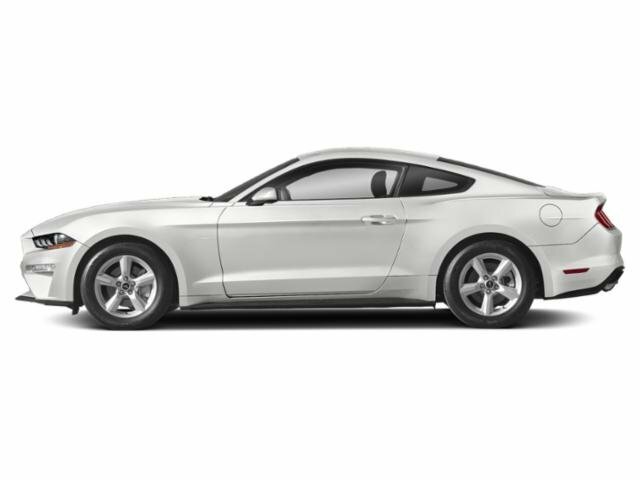 Navigation, Heated/Cooled Leather Seats, iPod/MP3 Input, Dual Zone A/C, Keyless Start, TRANSMISSION: 6-SPEED MANUAL, RADIO: B&O PREMIUM SOUND SYSTEM BY BA... Oxford White exterior and Ebony interior, GT Premium trim. CLICK NOW!KEY FEATURES INCLUDELeather Seats, Heated Driver Seat, Cooled Driver Seat, Back-Up Camera, iPod/MP3 Input, Keyless Start, Dual Zone A/C, Heated Seats, Heated Leather Seats, Heated/Cooled Seats. Rear Spoiler, MP3 Player, Onboard Communications System, Keyless Entry, Steering Wheel Controls.OPTION PACKAGESGT PERFORMANCE PACKAGE Brembo 6-piston front brake calipers, K-brace, performance rear wing, silver painted strut-tower brace, unique chassis tuning, unique electronic power assisted steering, unique anti-lock brakes and upsized rear sway bar, Engine Spun Aluminum Instrument Panel, HD Front Springs, Larger Radiator, Wheels: 19 x 9 Fr & 19 x 9.5 Rr Ebony Black Painted aluminum, Larger Brake Rotors, Unique Stability Control, Tires: 255/40R19 Fr & 275/40R19 Rr Summer-Only Designed to optimize driving dynamics and provide superior performance on wet and dry roads, High performance summer tires wear faster than non-performance tires, Ford does not recommend using summer tires when temperatures drop to approximately 45 deg F (7 deg C) or below or in snow/ice conditions, Gauge Pack (Oil, EQUIPMENT GROUP 401A Blind Spot Info System w/Cross-Traffic Alert, Memory Driver Seat, Mirrors & Ambient Lighting, 3 settings, Premium Plus Package, Voice-Activated Touch-Screen Navigation System, pinch-to-zoom capability, SiriusXM Traffic and Travel Link w/a 5-year prepaid subscription, SiriusXM audio and data services each require a subscription sold separately, or as a package, by SiriusXM Radio Inc, If you decide to continue service after your trial Baxter Ford SouthHorsepower calculations based on trim engine configuration. Please confirm the accuracy of the included equipment by calling us prior to purchase. Navigation, 3rd Row Seat, Back-Up Camera, Rear Air, EQUIPMENT GROUP 202A, TRANSMISSION: 6-SPEED SELECTSHIFT AUT... 4x4, ENGINE: 3.5L TI-VCT V6 (FFV). Agate Black Metallic exterior and Ebony Black interior, XLT trim. CLICK NOW!KEY FEATURES INCLUDEThird Row Seat, Rear Air, Back-Up Camera. Rear Spoiler, 4x4, Keyless Entry, Privacy Glass, Steering Wheel Controls.OPTION PACKAGESEQUIPMENT GROUP 202A LED Fog Lamps, Power Liftgate, Power & Heated Glass Sideview Mirrors, manual-folding, LED turn signal indicators, security approach lamps and black molded in-color caps, BLIS (Blind Spot Information System), cross-traffic alert, Note: replaces standard integrated blind spot mirrors feature, Driver Connect Package, Auto-Dimming Rearview Mirror, FordPass Connect 4G Wi-Fi Modem, Wi-Fi hotspot connects up to 10 devices (includes a trial subscription of 3 months or 3 gigabytes, whichever comes first, Wireless Service Plan required after trial subscription ends), remotely start, lock and unlock vehicle (includes service for 1 year from the vehicle sale date as recorded by the dealer), schedule specific times to remotely start vehicle, locate parked vehicle, and check vehicle, WHEELS: 20 POLISHED ALUMINUM Tires: P255/50R20 AS BSW, XLT TECHNOLOGY FEATURE BUNDLE Universal Garage Door Opener (UGDO), Voice-Activated Touchscreen Navigation System, pinch-to-zoom capability, SiriusXM Traffic and Travel Link, Note: SiriusXM Traffic and Travel Link includes a 5-year prepaid subscription, Service not available in Alaska or Hawaii, SiriusXM audio and data services each require a subscription sold separately, or as a package, by Sirius XM Radio Inc, If you decide to continue service after your trial Ford XLT with Agate Black Metallic exterior and Ebony Black interior features a V6 Cylinder Engine with 290 HP at 6500 RPM*.Horsepower calculations based on trim engine configuration. Please confirm the accuracy of the included equipment by calling us prior to purchase. NAV, 3rd Row Seat, Heated Leather Seats, Alloy Wheels, Turbo, 4x4, Rear Air, Power Liftgate. EPA 25 MPG Hwy/18 MPG City! Limited trim. Warranty 5 yrs/60k Miles - Drivetrain Warranty; SEE MORE!KEY FEATURES INCLUDELeather Seats, Third Row Seat, Navigation, Power Liftgate, Rear Air. 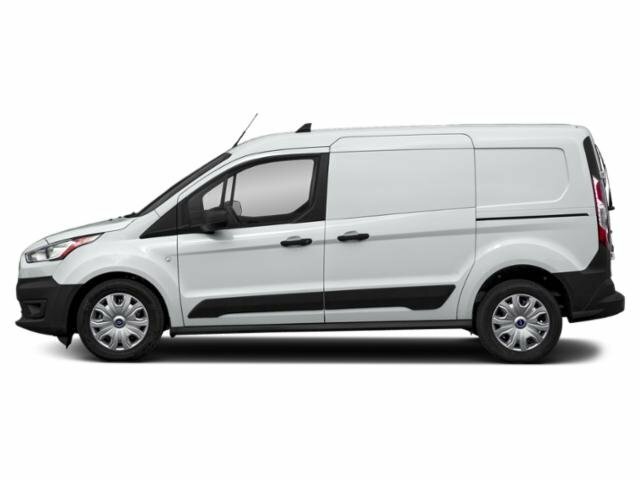 Rear Spoiler, MP3 Player, 4x4, Aluminum Wheels, Remote Trunk Release.EXPERTS CONCLUDEGreat Gas Mileage: 25 MPG Hwy.MORE ABOUT USBaxter Ford West Dodge, a full-service Ford dealership in Omaha, is your source for new Ford cars, trucks, vans and SUVs both online and in our showroom. We also sell used vehicles and certified pre-owned Fords. At our 18505 California Street (185th & Dodge) location, we also provide parts and auto repair service. We're part of Baxter Auto, the largest dealer group in Nebraska.Fuel economy calculations based on original manufacturer data for trim engine configuration. Please confirm the accuracy of the included equipment by calling us prior to purchase. 3rd Row Seat, Navigation, Sunroof, Leather Interior, 4x4, Trailer Hitch, Captains Chairs, EBONY BLACK W/FIRE ORANGE, LEATHER-TRIMMED BUCKET SEATS, MAGNETIC METALLIC. Magnetic Metallic exterior and Ebony Black interior, XLT trim. CLICK NOW!KEY FEATURES INCLUDEThird Row Seat, Rear Air, Back-Up Camera Rear Spoiler, 4x4, Privacy Glass, Keyless Entry, Child Safety Locks.OPTION PACKAGESEQUIPMENT GROUP 202A LED Fog Lamps, Power Liftgate, Power & Heated Glass Sideview Mirrors, manual-folding, LED turn signal indicators, security approach lamps and black molded in-color caps, BLIS (Blind Spot Information System), cross-traffic alert, Note: replaces standard integrated blind spot mirrors feature, Driver Connect Package, Auto-Dimming Rearview Mirror, FordPass Connect 4G Wi-Fi Modem, 4G LTE Wi-Fi hotspot connects up to 10 devices (includes a complimentary trial subscription of 3 months or 3 gigabytes, whichever comes first, Wireless Service Plan required after trial subscription ends, Visit att.com/ford to start complimentary trial and sign up for a Wireless Service Plan), remotely start, lock and unlock vehicle (includes service for 1 year from the vehicle sale date as, TWIN PANEL MOONROOF, XLT SPORT APPEARANCE PACKAGE liftgate applique, Sideview Mirror Caps, EXPLORER Badge on Hood, Ebony Black Unique Door-Trim Panel Insert, Fire Orange contrasting stitching, Rear Bumper Step Pad Molded in color black w/magnetic-painted surround and skid plate elements, front and rear, molded-in-color black, Lower Front & Rear Bumper Covers, Lower Door Trim, Lower Bodyside Cladding Insert, EXPLORER Unique Branded Front Floor Mats, Wheels: 20 x 8.5 Magnetic Met Painted 10-Spoke, Tires: P255/50R20 AS BSW, Black Roof Rack Side Rails, Magnetic Met-Painted Grille Bars w/Mesh InsertWHY BUY FROM USBaxter Ford SouthHorsepower calculations based on trim engine configuration. Please confirm the accuracy of the included equipment by calling us prior to purchase. Nav System, Moonroof, Heated Leather Seats, BLACK, FRONT LEATHER SEATING SURFACES 40/CONSOLE/40, LARIAT ULTIMATE PACKAGE, ENGINE: 6.7L 4V OHV POWER STROKE V8 T... AGATE BLACK. 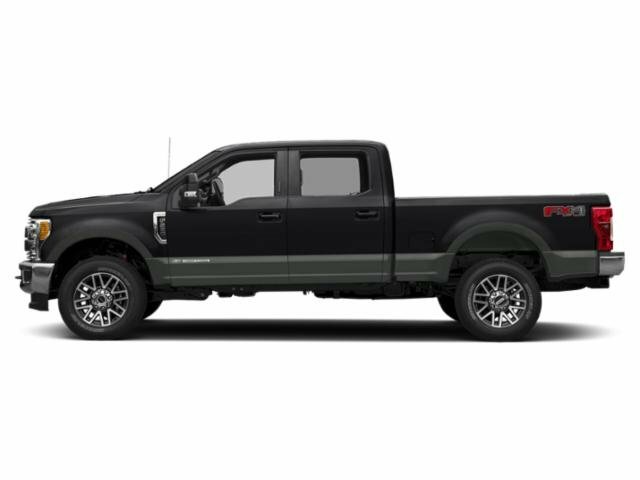 Lariat trim, Agate Black exterior and Black interior CLICK ME!KEY FEATURES INCLUDEPremium Sound System, iPod/MP3 Input, Trailer Hitch, Dual Zone A/C. MP3 Player, 4x4, Onboard Communications System, Privacy Glass, Steering Wheel Controls.OPTION PACKAGESENGINE: 6.7L 4V OHV POWER STROKE V8 TURBO DIESEL B20 manual push-button engine-exhaust braking and intelligent oil-life monitor, 34 Gallon Fuel Tank, Extra Heavy-Duty 220 Amp Alternator, 3.31 Axle Ratio, Dual 78-AH 750 CCA Batteries, LARIAT ULTIMATE PACKAGE Automatic High Beam, rain-sensing windshield wipers, Intelligent Access w/Push-Button Start, Easy Entry/Exit Memory Driver's Seat Feature, Remote Start System, Remote Tailgate Release, Ambient Lighting - Fixed Color, Memory Power-Adjustable Pedals, PowerScope Trailer Tow Mirrors w/Memory, Power Heated/Cooled Passenger Seat, Tailgate Step & Handle, Power Heated/Cooled Driver Seat w/Memory, LED Box Lighting, LED Center High-Mounted Stop Lamp (CHMSL), Power Telescoping/Tilt Steering Wheel/Column, heat, memory and audio controls, Voice-Activated Navigation, HD and SiriusXM Traffic and Travel Link, NOTE: SiriusXM Traffic and Travel Link includes a 5-year prepaid subscription, Services are not available in Alaska and Hawaii, LARIAT SPORT APPEARANCE PACKAGE ebony black fender vent surround, Ebony Black Painted Front Grille Bars, Rear Wheel Well Liners (Pre-Installed), Black Out Surrounds Halogen Only Headlamps, Wheels: 20 Ebony Black Painted Premium Aluminum, Tough Bed Spray-In Bedliner, tailgate-guard, black box bed tie-down hooks and black bed attachment bolts, 6 Ebony Black Angular Running Boards, Ebony Black Painted Mirror CapsHorsepower calculations based on trim engine configuration. Please confirm the accuracy of the included equipment by calling us prior to purchase. EPA 31 MPG Hwy/21 MPG City! Blue Metallic exterior and Medium Light Stone interior, S trim. Onboard Communications System, Keyless Start, ENGINE: 2.5L IVCT, EQUIPMENT GROUP 100A, TRANSMISSION: 6-SPEED AUTOMATIC, iPod/MP3 Input READ MORE!KEY FEATURES INCLUDEBack-Up Camera, iPod/MP3 Input, Onboard Communications System, Keyless Start MP3 Player, Keyless Entry, Steering Wheel Controls, Child Safety Locks, Electronic Stability Control.OPTION PACKAGESENGINE: 2.5L IVCT (STD), BLUE METALLIC, EQUIPMENT GROUP 100A, TRANSMISSION: 6-SPEED AUTOMATIC (STD). Ford S with Blue Metallic exterior and Medium Light Stone interior features a 4 Cylinder Engine with 175 HP at 6000 RPM*.EXPERTS RAVEGreat Gas Mileage: 31 MPG Hwy.MORE ABOUT USBaxter Ford West Dodge, a full-service Ford dealership in Omaha, is your source for new Ford cars, trucks, vans and SUVs both online and in our showroom. We also sell used vehicles and certified pre-owned Fords. At our 18505 California Street (185th & Dodge) location, we also provide parts and auto repair service. We're part of Baxter Auto, the largest dealer group in Nebraska.Horsepower calculations based on trim engine configuration. Fuel economy calculations based on original manufacturer data for trim engine configuration. Please confirm the accuracy of the included equipment by calling us prior to purchase.